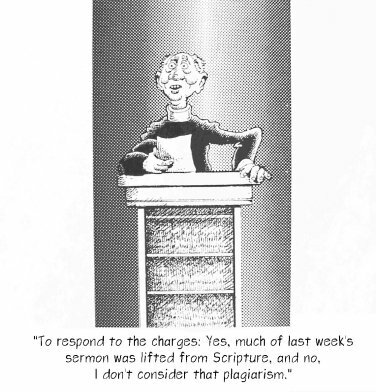 All right, so you've caught a student plagiarizing. It's very easy to do these days, even without pay services such as Turnitin dot com. What is your reaction? What are your assumptions about the cause or causes? What are your own and your college's policies on dealing with the problem? What assumptions underlie your institution's or department's policies? Most importantly, do you deal with it as professor or policeman? The Tidewater Regional Center for Teaching Excellence and the Mid-Central Regional Center for Teaching Excellence invite you to a workshop on plagiarism in the digital age. Is it the same as it ever was, or is the nature of academic plagiarism changing? Get together with your colleagues to discuss the nature of the problem in our fast-changing, digital-information age, and begin the process of planning the appropriate pedagogies and policies to address what seems to be a national proliferation of academic plagiarism. *About the workshop presenter: Nick Carbone works as the Director of New Media for Bedford/St. Martin's publishing. Before coming to this job, he was a full-time academic, teaching writing at Colorado State University, Marlboro College, UMass, Amherst, Lyndon State College, and Boston College. In his weblog, Carbone writes extensively on issues related to teaching and publishing electronically and on academic plagiarism. Registration at any of the three workshops is free and open to anyone in the VCCS. To register for the TNCC or TCC sessions, contact Tidewater RCTE Chair Rick Dollieslager by email (dollier@tncc.edu). To register for the JTCC session, contact Mid-Central RCTE Chair Patrick Tompkins (ptompkins@jtcc.edu). Certificates for attendance, indicating CEUs earned and "seat time" will be awarded to participants. Don't know if you are interested in attending? You are. Start by reading this statement from the Council of Writing Program Administrators web site: "Defining and Avoiding Plagiarism: The WPA Statement on Best Practices"
And then browse this "web scrapbook" on sticky plagiarism issues.